One can debate the loose geographical standards that define a “continent”, but many experts, including acclaimed science writer and author, Peter Tyson, declare that Madagascar is the world’s eighth continent. Tyson does more than elevate the almost 600,000 square kilometre landmass to continental status in his best-selling book; The Eighth Continent: Life, Death and Discovery in the Lost World of Madagascar, he declares his affection for "the island's singular people, the striking beauty of the landscape and the wonder of the wildlife." Tyson’s sentiments are echoed by Sir David Attenborough and John Cleese who have both visited the world’s fourth largest island and spent much time studying, filming and writing about its unique and enormously diverse natural wonders. Some fifty species of lemurs as well as chameleons, birds, reptiles and a wealth of flora can only be experienced on the naturally isolated island/continent of Madagascar. "What I like about ring tail lemurs," Cleese said, "is that they've got bags of attitude. They remind me of football fans on their way to a match all waving their scarves at one another." The incredibly animated lemurs are only found on Madagascar but are threatened by habitat destruction. Cleese, who has had a life-long fascination with the animal, helped raise money for their protection and co-starred alongside one in his film, “Fierce Creatures”. Australians, who know first-hand the wonder of unique wildlife, can be enchanted by Madagascar too. 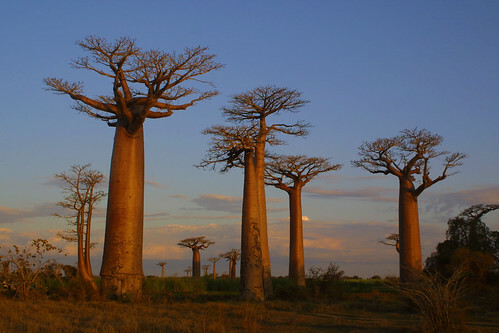 Following on from their 2002 sell-out “Marvellous Islands of the Indian Ocean” tour, pioneering adventure travel operator, Adventure Associates, still has a few places left on their 2003 tour to Madagascar, Mauritius and Reunion departing September 9.